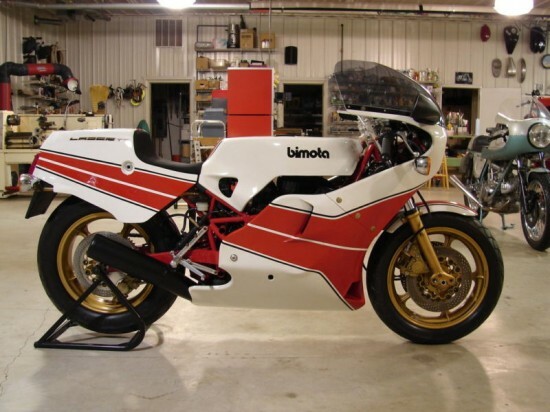 From our friends over at Rare Sport Bikes For Sale comes this beautiful Bimota KB2. 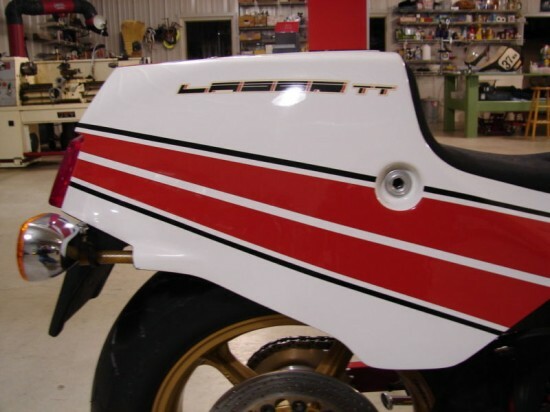 Created by stuffing a Kawasaki GPz550 engine and transmission into a hand-built trellis frame, the KB2 remains one of the most desireable of the early Bimotas. If you want to see more details, there are lots of pictures and more info in THIS POST over at RSBFS.
. This one started from the basement at $.99, and very quickly rose to over $8,500. I would expect that figure to double again before this one is over. Be sure and check out the fun!